Add you MP3 interpretation on this page ! I have a tenor recorder and could play along with both the piano and the soprano recorder, although I have to work to hit the high a better. Thanks! Yeah Cool! Rock On! Thanks a lot this is really Great. Cheers Pal! 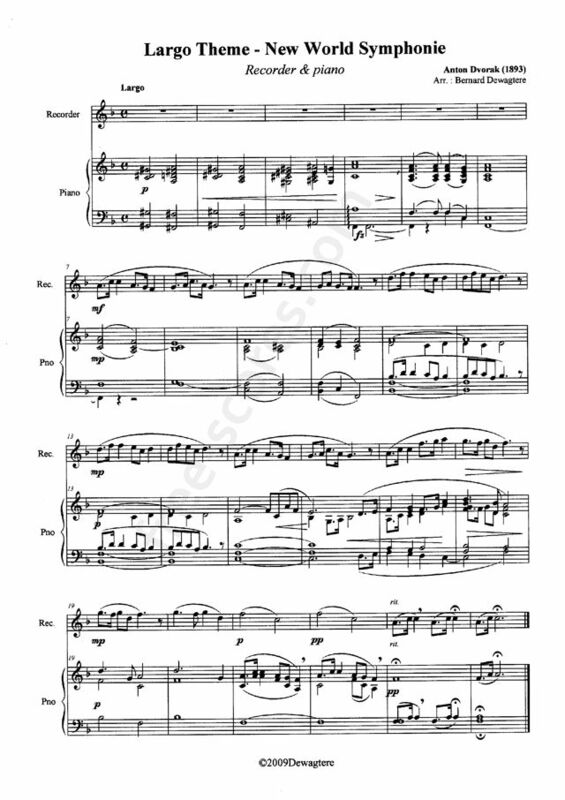 1 scores found for "New World Symphonie - Largo Theme"